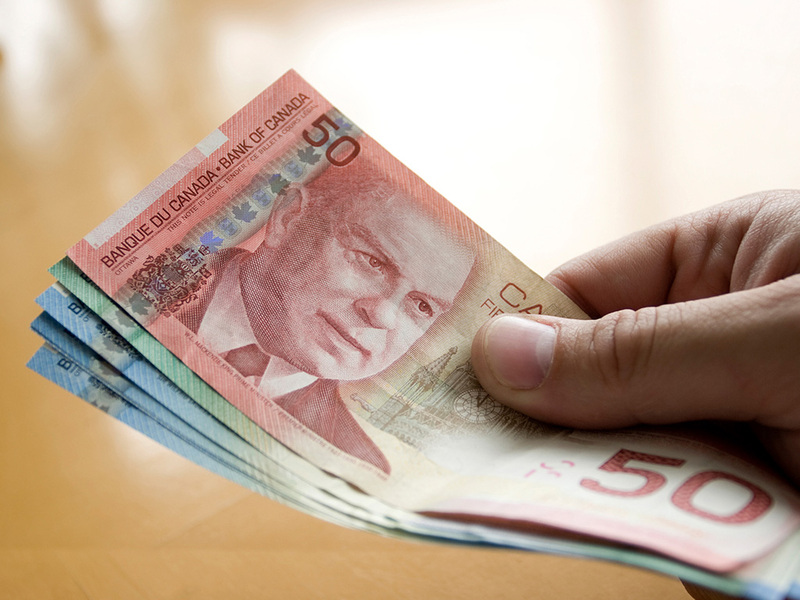 Ontario has begun offering a guaranteed minimum income for some of its residents. What is basic income and how does it work? Could there come a time when all our basic needs are paid for by the government? That’s the question many economists and politicians around the world are starting to explore. With automation altering the future of work and studies showing that financial stress can lead to unhealthy life choices, there’s a growing movement to introduce minimum income for all. While talk around basic income may be picking up, it’s an old idea that’s coming back into fashion. It was championed by Thomas Paine in the U.S. in the 1790s and Manitoba ran a trial in the 1970s. Finland, Kenya and Oakland, California, are currently doing pilot projects too. In April 2017, the Ontario government announced a basic income pilot project to see if giving people a base salary would change their quality of life. People who barely have enough money to scrape by tend to get sicker than those who have enough to at least cover their basic necessities. They’re also at risk for substance abuse problems, education challenges and other issues, says a government report. By paying a minimum income to cover people’s needs, people should be healthier, which would be better for them but it will also put less stress on the province’s healthcare system. By paying a minimum income to cover people’s needs, people should be healthier, which would be better for them but it will also put less stress on the province’s healthcare system. “If I have a little bit more and I’m less stressed and I work eight hours a day instead of 10, I might take care of myself (more),” says Amin Mawani, associate professor of taxation at York University’s Schulich School of Business. “The Ontario government is hoping the difference in health care claims will pay for some of this.” The project is expected to cost about $50 million a year. Ontario’s three-year-project will give 4,000 people in Thunder Bay, Lindsay and the Hamilton and Brantford area, plus a not-yet-named First Nations community, $17,000 a year per person or $24,000 for a couple (more if you have a disability). Instead of filling out onerous paperwork at a welfare-type office, this program involves getting a cheque in the mail. A third party will assess the program and some participants will receive lower or no benefits, to act as a control group for study purposes. “This is a bold experiment,” says Mawani. For years, basic income has been debated more than it’s been put into practice, but it seems to be back on a wave of concern over automation. Since 2000, about 5 million American manufacturing jobs disappeared. A recent McKinsey & Co. report says that 40% of Canadian jobs – in manufacturing and elsewhere – will be lost to automation over the next decade. But concerns around basic income linger. “The problem is that it’s too much of a one-size-fits all solution,” says Mawani. People with sudden financial problems must wait, as benefits are linked to last year’s tax return. People with disabilities may miss out on extra services and benefits, as this replaces Ontario Works (welfare) and the Ontario Disability Support Program. Alex Laurin, director of research at the C.D. Howe Institute, says that under this program, parents could get dinged by federal and province child benefits clawbacks. He says the automatic income could also be a disincentive to work and it’s likely small town residents in Lindsay will get more for their basic income stipend than those living in very pricey Hamilton. The high cost of a permanent program could also trigger more taxes or cutbacks to things like healthcare, says Laurin, both of which would, ironically, hurt those who get the basic income. Still, guaranteeing everyone a small but steady income could work, but it’s too early to tell. In a few years, we should have the data to show if basic income in Ontario, and in other parts of the world, can change poverty’s most worrisome – and expensive – impacts.